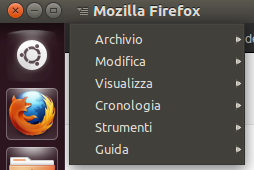 Ubuntu 12.04 To Offer 'Locally Integrated Menus' Option? - OMG! Ubuntu! Ubuntu 12.04 To Offer ‘Locally Integrated Menus’ Option? Is Precise gearing up for another change to App Menu behaviour? New code aimed at ‘the implementation of locally integrated menubars‘ has been proposed for ‘merging’ into Metacity, Unity, Light Themes and Compiz. The code is also linked to a bug report titled ‘Global menu is not ergonomical on large screens‘.